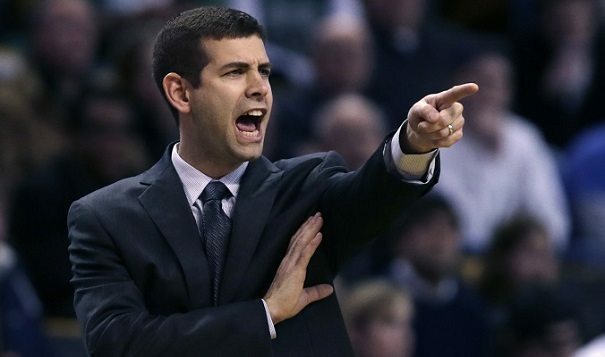 Who Will Win: Brad Stevens. No coach has had to deal with the Luck of the Irish like Stevens. The basketball gods had a laugh at the Celtics' expense as they lost almost everyone to injuries including star players Gordon Hayward and Kyrie Irving. Yet Stevens guided the Celtics to an improved record and will finally be rewarded for his efforts. Who Should Win: Dwane Casey. Stevens winning feels like a sympathy award. Casey has just as much case for winning. Toronto broke franchise records including almost hitting 60 wins and finishing first in the East when ESPN projected them with just 43 wins. Casey overhaul Toronto's offence and did this without adding any superstars or prized prospects. Who Will and Should Win: Victor Oladipo. A slam dunk for the fifth-year pro from Indiana. 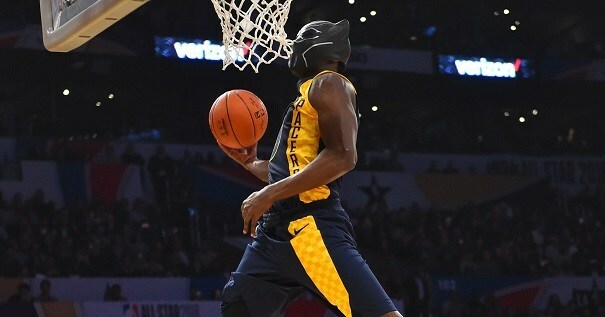 Dipo earned career-highs in almost every stat including points (23.1), field goal percentage (47.7 per cent), and doubled his steals from last season (2.4). Most importantly, he improved the Pacers by six wins. Dipo came into this year with a renewed purpose, improved play, and dropped a soulful EP along the way. Who Will Win: Joel Embiid. Who doesn't love Embiid? They should make an NBA award just for him. And it's this irresistible charisma that will make him win. Not that he's undeserving. Embiid is fourth in blocks (1.8), fifth in defensive rebounds (8.7) and fourth in defensive rating (99.7) for players who average at least 28 minutes a game. His GOAT-level trolling on the court and on social media is the clincher. Who Should Win: Rudy Gobert. Blocking all that hype around Embiid, Gobert is the deserving winner. The Frenchman is the centerpiece of Utah's top-rated defence (101.6). He is third in the league in blocks (2.3) and leads the league in defensive rating (97.5) for players with over 28 minutes per game. If he added French trash talk to his repertoire he'd probably win. Who Will Win: Ben Simmons and Donovan Mitchell. Calling for the hat trick. The NBA's Rookie of the Year award was twice shared: in 1994-95 when Hall of Famers Jason Kidd and Grant Hill co-won the award and in 1999-00 when Steve Francis and Elton Brand pulled it off. The race is just too close between the Sixers' Simmons, who is looking like the next coming of LeBron and Simmons, who has set the league on fire. Cut the debate. Voters will find a way to give them both the award. 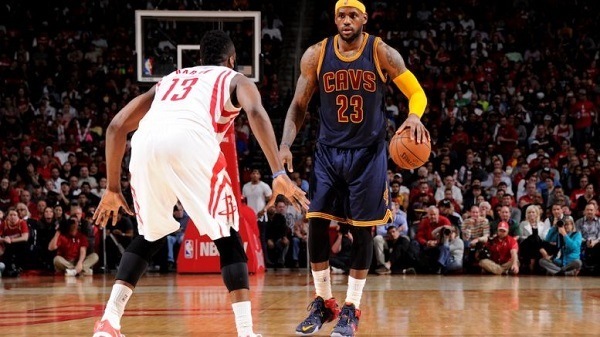 Who Will Win: James Harden. The MVP is often treated like the Best Actor Oscar: it's a legacy award aka "They're Due" or "we gave it to the wrong guy before so we're sorry, here's your MVP". Harden still deserves it this year leading the league in scoring (30.4 points), usage rate (36.1 per cent), and win shares (15.2). The Rockets being the runaway regular season champions also means The Beard finally gets his award. Who Should Win: LeBron James. It's crazy to think a 33-year-old is having his best year in his 15th NBA season but not if its James. He is more valuable to his team now more than ever and is averaging a triple-double: 31.1 points (league-leading), 10.2 assists, and 9.9 rebounds in his last 15 games with the Cavs going 12-3 in that span. Winning that fifth MVP also ties James with you-know-who. You don't just predict awards. You can actually bet on them and Canadians can use these online sportsbooks to find the lines (when they open in the near future). Find the reviews to find out more about each book.